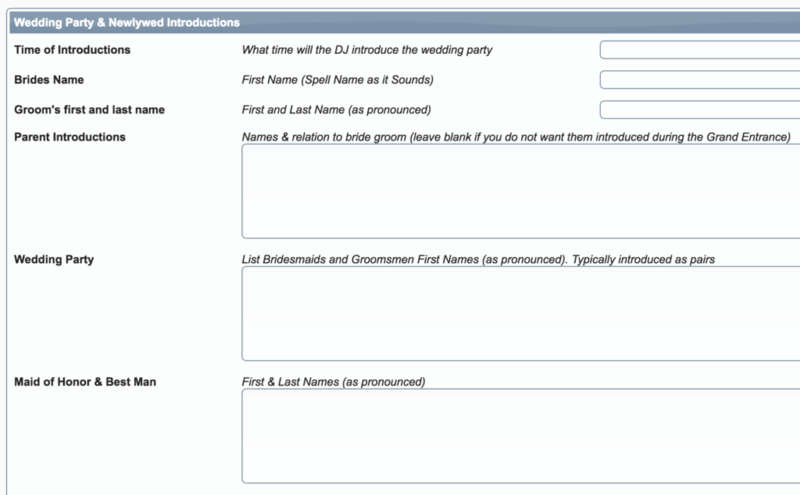 We have found a niche catering our Michigan Wedding DJ service to hip fun couples. We’ve gained a following by those seeking a non-cheesy, no sparkly vests wearing, inflatable guitar-less reception. However, we have been known to amp things up for our rowdier crowds. The details are up to you, we’re here to make it happen without any pretension! Couples love our online planning tools which give them complete control over the music. All joking aside, do you know what you’re doing? Rest assured. Party Pros Detroit is a professional DJ company. We carry 2 million in liability insurance and equipment insurance and use professional gear and always have backups. We have backup staff on call ready go for every event. Don’t take our word for it, check out our references! Do I get the opportunity to talk about my event details before the event? Absolutely! 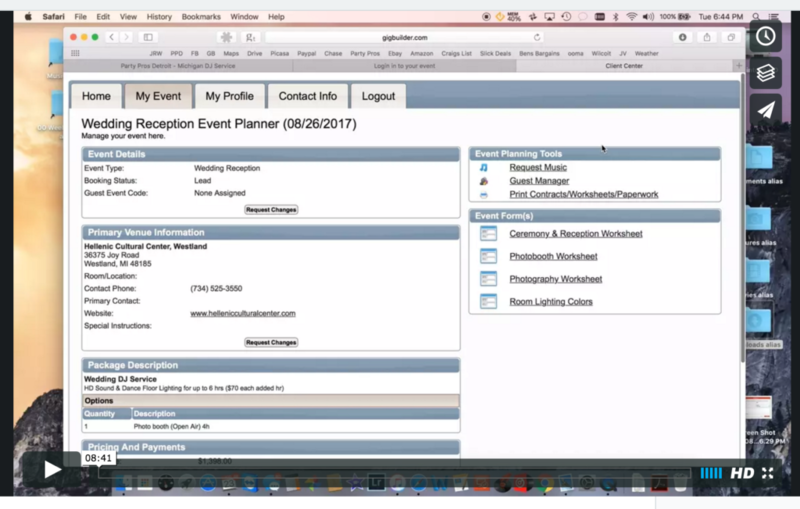 Although you will have the opportunity to plan your event details using our online event planner, we will contact you the week of the event to go over all the details. This way we are all on the same page and ensure as smooth and worry-free event. We like you so much! Can you play longer than our contracted time? Thanks, we like you too. If the party is really kicking and you hate to have to call an end to it all, we can continue playing. Do you take breaks? Yes, we are close to superhuman, but not quite. We do take quick bathroom breaks but the music never stops. One of the benefits of computerized music playback. How long does it take to setup and breakdown? We generally setup an hour before the event and take about 30 minutes to break down at the end of the event. My wedding ceremony is outside/upstairs/at another venue. Can you DJ this portion of the day too? Yeppers! We provide music and mic for ceremonies all the time. Contact us for more details on this add-on. Can Party Pros Detroit perform at events outside of Metro Detroit? Why yes we can! We love road trips, however, we charge $1 per mile in one direction from zip code 48092. A hotel and per diem meal fee will also apply to events that are over 100 miles from 48092. Can Party Pros Detroit accommodate events other than weddings? Sure! 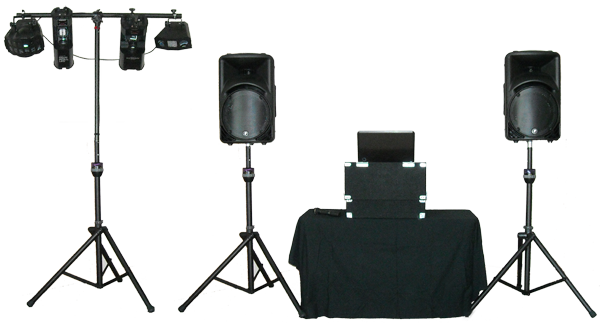 We are not just the best reviewed Michigan wedding DJ service, but also are available for other events. Just let us know when and where! We love Engagement Parties, Birthdays, Retirements, Reunions, Corporate and Charity Events as well as Office Christmas Parties, and more! Please email us directly for special pricing. Do I have to feed you? We love being fed! However, it is completely at your discretion whether or not you decide to feed your DJ and other vendors. A meal is truly appreciated as your DJ often works for 8 hours at a time with very little time for breaks. Tip: A service meal is often available from your venue as a scaled-down, less expensive version designated for your DJ & other vendors. How far in advance do I have to book you? Since Party Pros Detroit offers great services and rates, we tend to book up very quickly! We recommend that you contact us at least a year in advance to get first dibs on our availability for your event. The sooner, the better! Sounds fabulous! How can I book? We require $300 non-refundable retainer/booking fee per service to hold your date and rate. The retainer will be deducted from the total cost of your event. To finalize your booking, we will send you an e-sign contract. The balance is due to two weeks prior to the event. What is your cancellation policy? If you cancel, any payments including but not limited to the deposit will be forfeited. If you cancel less than 30 days prior to event date, the full balance will be due.